The European Parliament and the PACE acknowledged Russia's aggression in their resolutions. Foreign Minister Pavlo Klimlin has not ruled out that Ukraine may declare martial law if the security situation in Donbas further deteriorates. He was speaking on the air of the Freedom of Speech TV talk show. "First, martial law… If the security situation further deteriorates, I do not rule out its introduction," he said. He added that some countries may be at war but without declaring martial law. "The state of war, the declaration of martial law and the Russian aggression are all different issues. The Russian aggression is an issue which is much bigger than the war because the Russian aggression is being waged not only by military means but, by definition, by all means: both military and hybrid ones," he added. 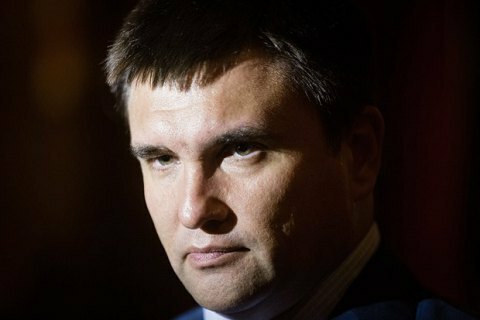 Klimkin noted that the European Parliament and the Parliamentary Assembly of the Council of Europe had acknowledged the Russian aggression in their resolutions. As reported earlier, the Petro Poroshenko Bloc suggested martial law may be declared in Donetsk and Luhansk regions if the situation escalates.